Now very important WhatsApp feature has arrived. I mean, WhatsApp users are now able to communicate with their contacts right from their desktop. There is some information about how to get it up and running this. This is called- “WhatsApp Web”. 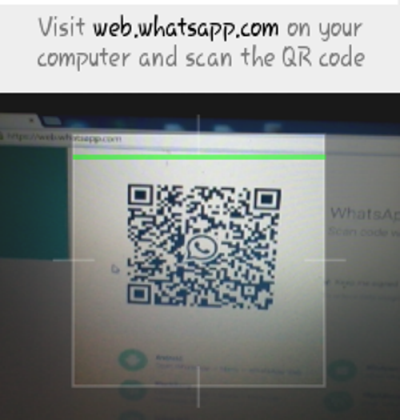 This webwhatsapp service is currently available for whose users that are using Android, Windows Phone and BlackBerry platforms. What about the iOS? According to WhatsApp, Apple has certain platform limitations, so users have to wait a while. To connect your web browser to your WhatsApp client, just open whatsappweb using https://web.whatsapp.com in your Google Chrome browser. Because this service is only accessible via the Chrome browser for desktop and its Android based app. Whatsapp web chat can’t be used by Mac users via Safari. Support for more browsers is likely to be coming soon. 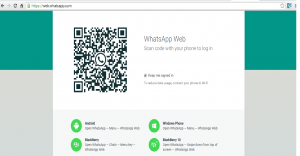 Now we can learn about where whatsapp web online will run and where it would not. We have some basic steps to get this service. Step 1: Be sure that you are using the latest version of WhatsApp. Step 2: After that just open https://web.whatsapp.com. Here you will see a QR code as attached below image. Step 3: Now you have to click on your “WhatsApp Web” option using your phone. After that your phone is ready to scan this QR code. See below mentioned image. Now you have paired WhatsApp on your phone with the WhatsApp web client. Your phone must be connected to the internet for our web client to work.